Light up your gaming experience like a Christmas tree. You can’t get them quite in time for the holidays, but PC enthusiasts take note: G.Skill just announced blazing-fast new Trident Z DDR4 RAM kits with customizable RGB lighting. Yes, LED lights on your memory. 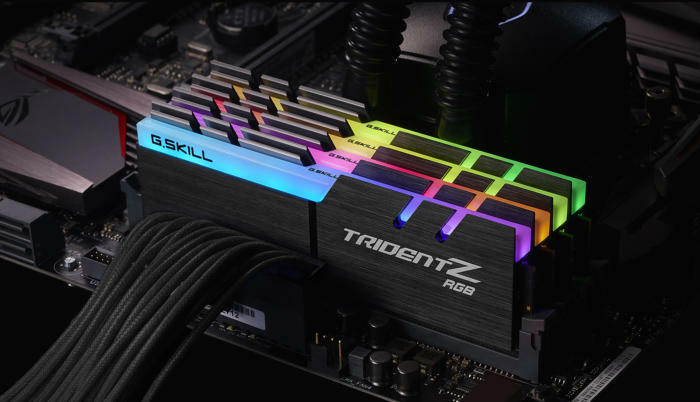 The new Trident Z RGB Series memory kits require no extra power connections to light up the LEDs, which sit atop the heatspreader design. The new G.Skill RAM rolls out in mid-January 2017. Why this mattters: G.Skill isn’t the first company to come out with fancy LED RAM. Corsair's Vengeance line-up offers patriotic, single-color red, white, or blue models. Geil is also working on RGB LED lighting for RAM that can change colors, but it requires extra power connectors. Geil’s RAM also relies on motherboard OEMs to add built-in support for controlling the colors and lighting patterns, according to Tom’s Hardware. G.Skill’s multi-hued Trident Z RGB Series, by comparison, won’t have these problems—most notably the need for extra cables. The Trident Z RAM displays what the company calls a “wave-style lighting effect” by default. Color customization will have to wait until February 2017 when G.Skill rolls out its software allowing tweaks to the color scheme. 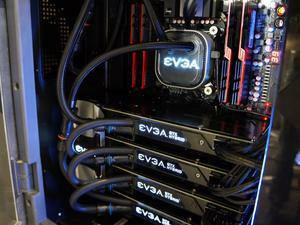 G.Skill says it has worked hard on the design of these cable-less RAM lights to minimize the impact on performance. The new RAM kits have a customized 10-layer PCB and “hand-picked” integrated circuit (IC) chips, which are supposed to help enhance overclocking performance—G.Skill says the RAM can hit speeds as high as 4,266MHz. We haven’t tested G.Skill’s new RAM so we can’t vouch for the company’s claims. Nevertheless, these kits look damned cool on paper and we’re sorry to hear they won’t make it under the tree in 2016.